Heil is a respected brand in the HVAC industry and the Heil model R410A 15 SEER heat pump shows their commitment to making reliable, affordable heating and cooling equipment. This heat pump, also called the Heil DX 1500, delivers good efficiency operation and several performance features not often found in mid-range models like this. Many consumers will also appreciate the R-410A refrigerant because it won’t harm the environment. This is a top seller for Heil because of its balance between equipment cost savings and good efficiency which should lower energy bills for most homeowners. “We were looking for a relatively inexpensive new heat pump that will still lower our utility bills and it seems like 14-16 SEER models offer the best chance to do that. After checking out about a dozen heat pumps online, along with even more heat pump prices, we got written estimates from 3 contractors and settled on the Heil model R410A 15 SEER heat pump. It wasn’t the cheapest – the Goodman was – but my husband and I both thought this unit was the best, and the contractor was by far the most professional. He answered all our questions – and we had a bunch for him. We even asked him if he did background checks on his employees and if they were drug-tested. Yes to the background checks but no to the drug tests, though he said he could vouch for his crew that they were “pretty solid” guys who “never miss a day of work.” He also said he had them all get certified by NATE and we asked who Nate was. Turns out its some professional organization for technician testing, LOL! Here are the key features of the Heil model R410A 15 SEER / DX1500 heat pump. 15 SEER performance – and Energy Star product. Single-stage scroll compressor is durable and efficient. Compressor blanket and insulated compartment produce low-noise operation. 2-speed fan motor operates at on low 70% of the time for quiet, consistent performance. Coil with copper tubing and spine fin design effectively transfers heat. ComfortAlert Diagnostics offers built-in protection and warning. Heavy-gauge galvanized cabinet is rugged and coated with powder paint for looks and longevity. Uses R-410A refrigerant that does not contain chlorine and is safer for the environment. The Heil model R410A 15 SEER heat pump is also known as the Heil DX 1500 heat pump. 10-year parts warranty including a 5-year condensing unit replacement warranty on the compressor. 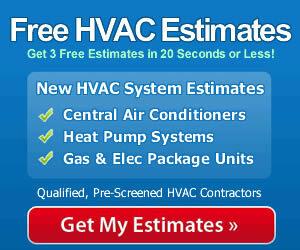 Studies show that improper installation robs a heat pump of efficiency and longevity. The best way to ensure getting the maximum performance and durability from the Heil model R410A 15 SEER heat pump is to have it installed by a professional heating and cooling company. A qualified contractor will possess the skills, experience and equipment to install the unit and test it for peak performance. So hire a pro and save money on utility bills and repairs. And yes, make sure they’re certified by NATE, the North American Technician Excellence professional association.